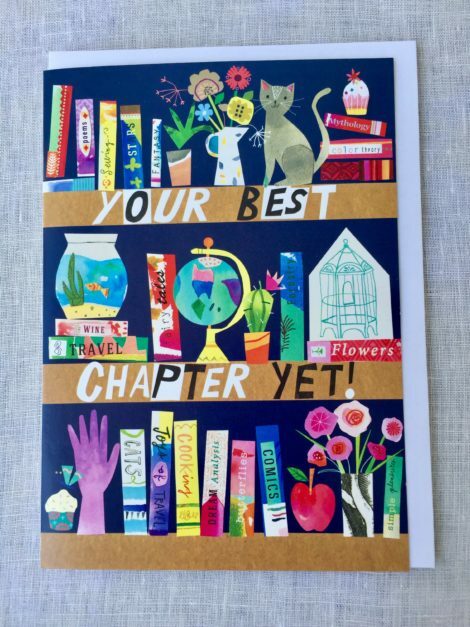 Snag Bookish Greeting Cards at Trader Joe’s! Trader Joe’s is my favorite grocery store for many reasons. The fresh flowers greeting me at the door, the free samples that always lead me to buy the full-size product, the yummy and super-convenient frozen meals, the massive selection of well-priced cheeses—I love it all! I didn’t think I could love Trader Joe’s more than I already do, but the company recently outdid itself. 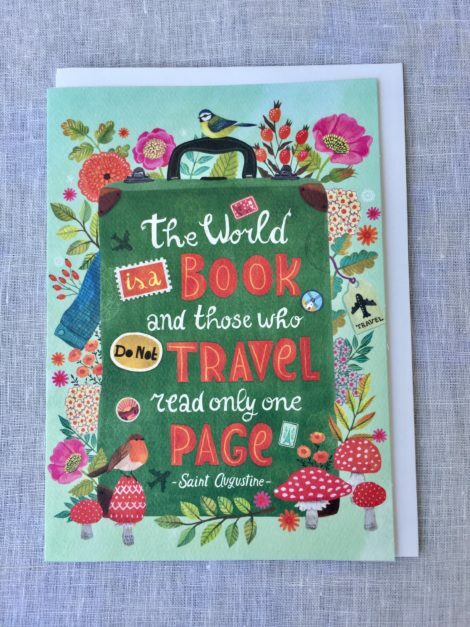 Right now, the stores are carrying a bunch of bookish greeting cards! 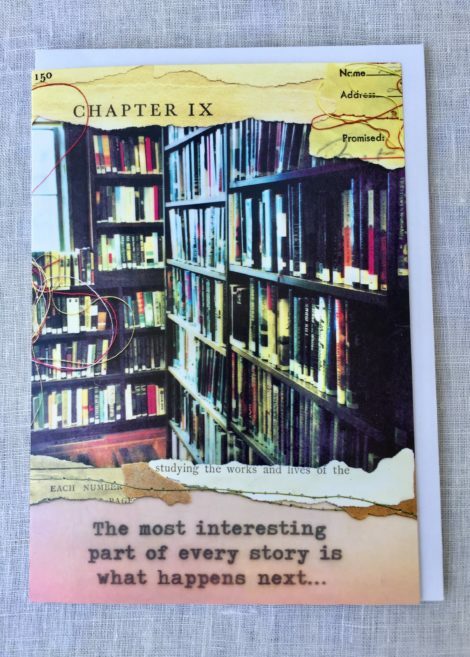 From punny to literary, these cards fit a variety of occasions and are perfect for the book lovers in your life. They also make excellent bookmarks. The best part: they’re only $0.99! The most interesting part of every story is what happens next…Here’s to next year being a real page-turner! Happy birthday! 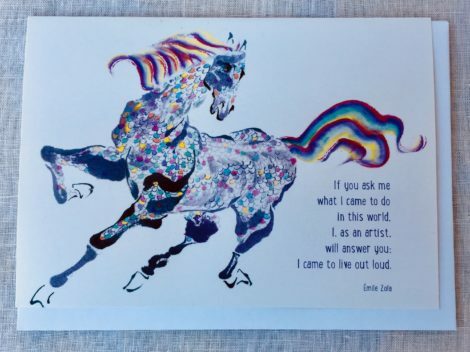 Your best chapter yet! Wishing you volumes of happiness for your birthday! 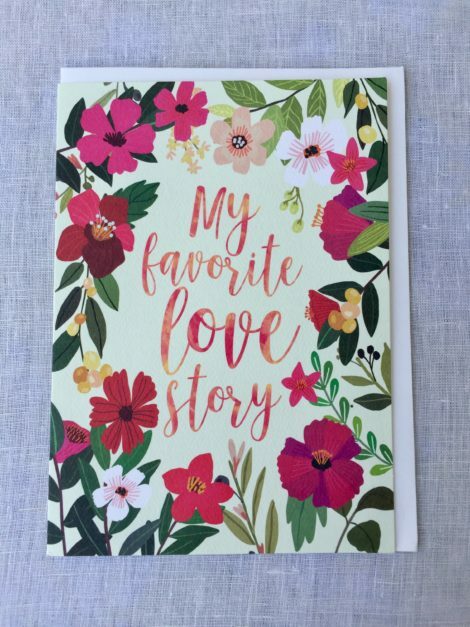 My favorite love story is ours! Happy anniversary. 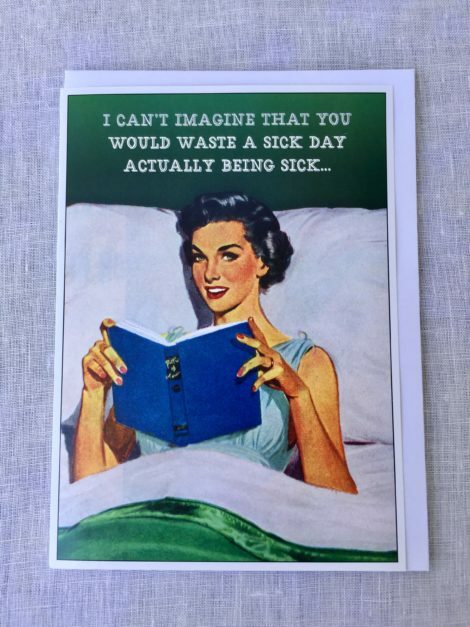 I can’t imagine that you waste a sick day actually being sick…I hope you’re home relaxing and finishing a great book! And if some Joe-Joe’s cookies accidentally make it into your basket, don’t worry about it. They’re the perfect treat to enjoy while reading!